(1) The ministry competent for internal affairs regularly monitors the circumstances in the field of migration, in particular on the basis of information of state bodies, other European Union member states and third countries, European Union institutions and relevant international and intergovernmental organizations. (2) If Ministry of the Interior assesses on the basis of information from authorities and institutions from the previous paragraph that circumstances, which might have or have seriously endangered public order or internal security of the Republic of Slovenia due to an altered situation in the field of migrations, might occur or have already occurred in Slovenia, it proposes to the Government of the Republic of Slovenia that it [the Government, translator’s note] proposes to the National Assembly of the Republic of Slovenia to decide upon the application of a measure from the Article 10.b of this Act, for the duration of no more than six months, and to determine the territory in which the measure shall be applied. The National Assembly shall adopt the decision with two thirds majority of all deputies. The National Assembly may extend the application of the measure from the Article 10.b of this Act in the same procedure on the proposal of the Government, every time for no more than six months if reasons [for the measure, translator’s note] still exists. The National Security Council delivers an opinion to the proposal to apply and extend the application of the measure from Article 10.b of this Act prior to the deliberation in the Government from the viewpoint of endangerment of public order and internal security. (3) In the proposal, the Ministry of the Interior shall give an assessment of potential consequences of altered situation in the field of migrations concerning the impact on public order and internal security of Slovenia. It takes into account situation in countries from which foreigners intend to enter or have entered in Slovenia, and situation in the field of migration in countries in the region, number of illegally residing foreigners and foreigners with the decision on permission to stay in Slovenia, number of applicants for international protection and number of persons with recognized international protection and accommodation and integration capacities of Slovenia for all mentioned categories of foreigners, a possibility to apply the International Protection Act and other factors that might have an influence on public order and internal security. (6) The Government notifies UNHCR, Commissioner for Human Rights of the Council of Europe and the European Commission about the application and cessation of the application of the measure from Article 10.b of this Act. (1) If the National Assembly adopts a decision from paragraph 2 of the previous Article, the police does not allow entry to a foreigner who does not meet the conditions for entry, while it [the police] brings an alien who, after the entry into force of the decision, entered Republic of Slovenia illegally and is illegally staying at the area where the measure from this article is enforced, to the state border and directs him or her into the state where he or she illegally entered from. (2) Without prejudice to the provisions of the law which regulates international protection, the police acts on the basis of the previous paragraphs also when an alien, after the entry into force of the National Assembly’s decision from paragraph 2 of the previous article, expresses his or her intention to apply for international protection. 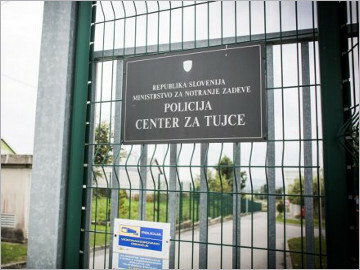 The police acts this way when an alien wishes to illegally enter or has already illegally entered the territory of the Republic of Slovenia outside the border crossing with another safe European Union member state and is present at the territory [of the Republic of Slovenia] where the measure from this article is enforced. (3) This article is not used when the life of the alien is directly endangered; or where there is a serious danger that the alien will be subject to torture, inhuman or degrading treatment or punishment in the state in which he would be directed to; or when his or her health circumstances would clearly make the implementation of the measure from paragraph 1 of this article impossible; or when it is assessed that according to the looks, behaviour or other circumstances the alien is an unaccompanied minor. Slovenia is a state party to the Geneva Convention and New York Protocol Relating to the Status of Refugees, under which the state is obliged to examine all asylum applications lodged by foreigners, irrespective of whether they entered the Slovenian territory in an authorized or unauthorized manner. Slovenia is required to examine every asylum applicant individually and not by group categories as currently stated in the draft amendments (Article 10b (3) of the current draft amendments). The law does not specify how the border police will use these group categories since. If the police will want to determine whether the alien falls within any of the categories, they will have to conduct an interview and carry out at least some kid of procedure – what kind, is not clear from the draft amendments. If the police decide that a person does not fall within any of the categories and therefore may not apply for asylum, the person will not have any legal remedies (e.g. appeal) at their disposal, which is in contravention of Article 13 of the European Convention on human rights and fundamental freedoms. Aliens Act actually implies that Geneva Convention should be ignored in relation to the majority of asylum seekers, and disregards the fact that this can be done only after a formal process of resignation from the Geneva Convention (Article 44 of the Convention). In the case of resignation of the Convention, Slovenia would no longer be bound by it, but only after twelve months since resignation. With the actual suspension of the Geneva Convention the Act unlawfully abolishes some of the human rights and fundamental freedoms, which also contradicts with the Slovenian Constitution. Namely, according to the Constitution, rights and freedoms may be restricted only under strict conditions and only if the state declares state of emergency in line with Article 16 and 92 of the Constitution. However, the Aliens Act which would limit and remove some rights does not provide imply that state of emergency would be declared. It only mentions “changed circumstances” where the public order, peace and security are under threat. The Constitution, on the contrary, requires that in order to declare state of emergency the existence of the State must be jeopardized (Article 92 of the Constitution), which is quite a different standard. 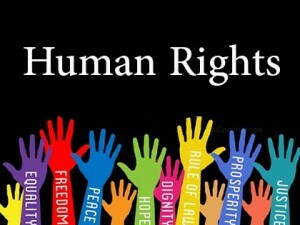 The application of the amendments to the Aliens Act could result in a violation of the European Convention for the Protection of Human Rights and Fundamental Freedoms. 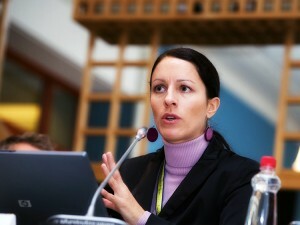 If the law was adopted and applied, Slovenia could be liable for violations of Convention rights. This is clear from cases Hirsi Jamaa (2012), Sharifi (2014), Khlaifia (2015) and a very recent case Kebe and Others v. Ukraine (2017). In these cases states that refused to take asylum applications and engaged in collective returns of migrants were found to have violated Article 3 (because of exposing people to torture and inhuman and degrading treatment in the process of the return) or Article 4 of Protocol 4 (which prohibits collective deportation without individual examination of the individual circumstances according to the appropriate procedure). In reviewing these cases ECtHR had no understanding for the fact that some of the responsible state parties experienced difficult circumstances due to increased arrivals. The draft amendments to the Aliens Act are also in conflict with the Dublin Regulation. The Dublin Regulation determinates the responsibility of Member States for examining asylum applications. The return of asylum seekers from one Member State to another may only take place in line with the agreed procedure defined in this Regulation. 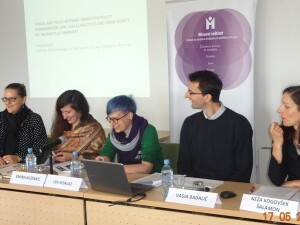 The proposed amendments to the Aliens Act however allow for the return of asylum seekers to other European countries by ignoring the so-called “Dublin procedure” and provide for unlawful deportations (“pushbacks”) irrespective of the readmission agreement signed between Slovenia and Croatia. Such deportations are also in contradiction to Article 32 of the Geneva Convention, which, while allowing deportations on grounds of national security, it also requires that any such deportation follows the legal proceedings and that person has the appropriate guarantees, including the right to appeal. The draft amendments to the Aliens Act are based on the assumption that all countries around Slovenia are safe and that asylum seekers have access to protection there. However there are problems with this argument. First, even if all countries around Slovenia were safe, Slovenia still cannot avoid its international obligations and must examine applications for asylum lodged by asylum seekers. Secondly, an increasing number of reports are raising doubts about whether the countries around Slovenia are really safe and whether there the asylum seekers can access to protection. Asylum seekers enter Slovenia mostly from Hungary and Croatia, while both countries are returning seekers to Serbia (lawfully or unlawfully), where asylum procedures are ineffective and acceptance conditions are inadequate. Slovenia already has all the possibilities for taking measures in case of an increased number of arrivals. The new International Protection Act enables the possibility of carrying out border procedures. If in the EU the asylum seekers have first entered the country irregularly through Croatia, then Croatia is responsible to examine their asylum applications based on the Dublin Regulation. If they do not apply for asylum, then Slovenia can return them by a bilateral readmission agreement. With the adoption of amendments to the Alien Act all agreed legal proceedings would be circumvented. The Aliens Act was written in secret and without public debate. The process was not secret because there would be national security issues, but because it was clear that experts and scholars would oppose it, which was exactly what had happened. 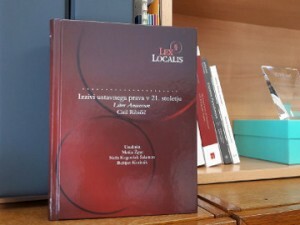 The authorities did contact some experts in the process, however they ignored those opinions which were opposing the content of the new law proposal. The authorities also ignored the warnings of the Ministry of Justice, the Government Office for Legislation and the President of the National Assembly.